Designed as a unisex racing flat, the Brooks T7 Racer is one of those shoes that doesn’t get a whole lot of publicity, but lace up a pair, and you’ll quickly realize what you’re missing out on. The T7 is lightweight, flexible, extremely smooth, and is one of the better-fitting racing flats currently on the market. It’s no wonder the shoe is a popular choice amongst elite runners, and can be spotted crossing the finish line at some of the most notable races in the world. While its construction may be on the minimal side, the T7 features a series of performance specs designed to help runners add some speed to their next run. It comes with a breathable air mesh upper that’s extremely comfortable, and features strategically placed synthetic overlays for durability and support. 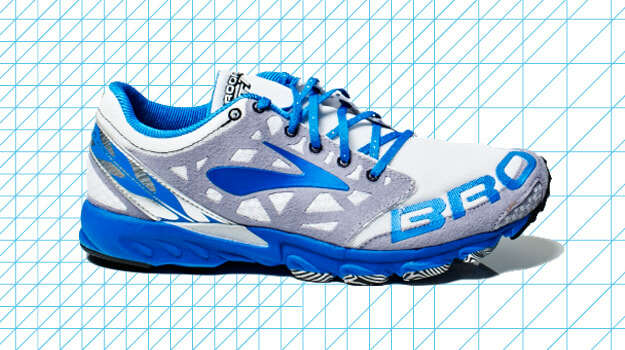 In the rearfoot, the shoe is loaded with HydraFlow ST technology for cushioning as well as shock absorption. To further enable a smooth ride, it comes with an HPR Plus rubber outsole that can take a beating yet still hold up during crunch time.